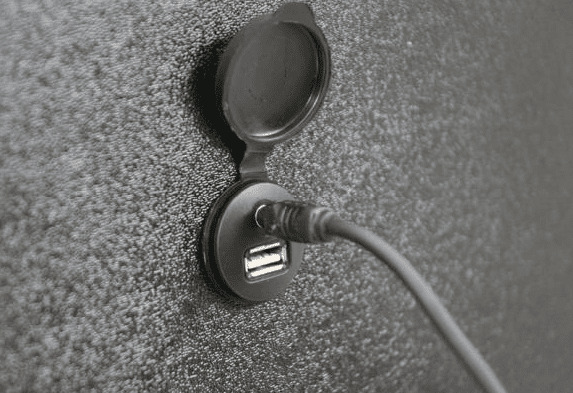 Note: For use with speaker pod systems or to upgrade a 3.5mm cable input with volume knob. Requires external amplifier. Music makes everything better and when you are buzzing around in your Polaris RZR, Can Am Maverick or your Kawasaki Teryx, listening to your favorite music will definitely put a smile on your face. These days, most everyone has their playlists saved on their personal device and want to be able to crank it up when they are out on the trails. If you are putting your system together and need to be able to sync your device to play through your speakers, the SSV Works Bluetooth Media Controller w/ AUX input would be the product to choose. 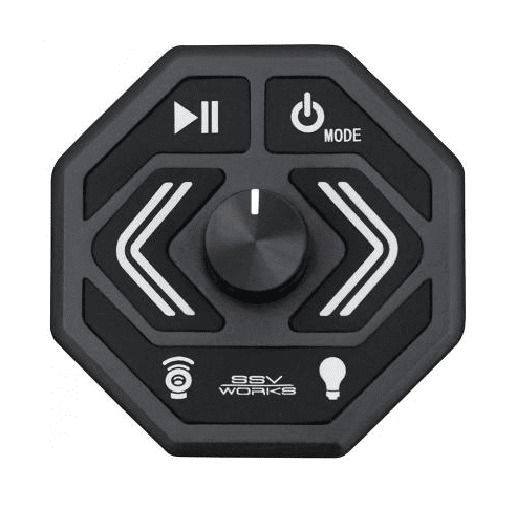 Even if your device is not Bluetooth ready, you can connect it with the 3.5 mm AUX input, allowing you to choose a song just right to help you conquer the terrain that lies ahead. 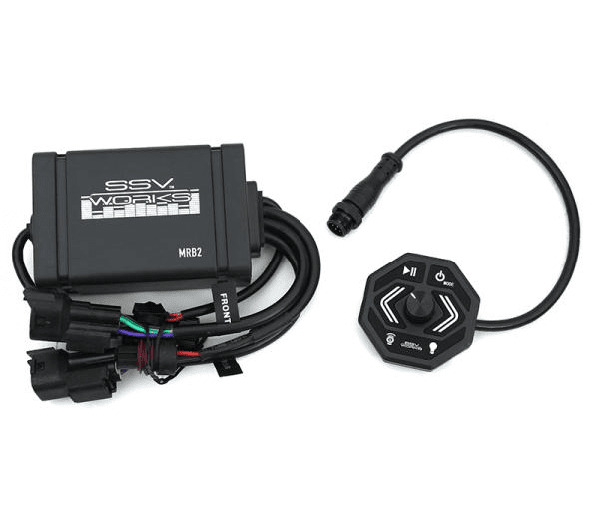 SSV�s MRB2 is a small and compact unit, measuring 2 inches in diameter that gives you two pairs of RCA outputs to control your amp for your speakers and a separate output if you decide to install a subwoofer. Allowing you to control the track, volume, play and pause from the controller, you can safely store your device while you are on the go. 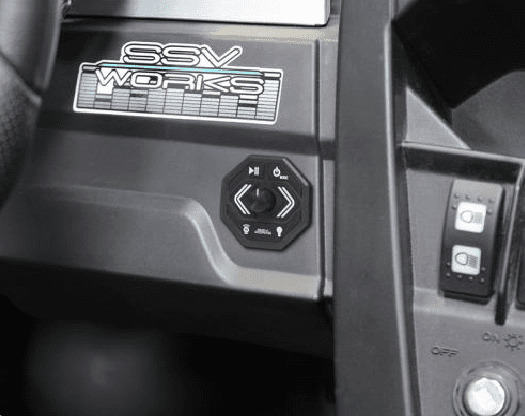 Having fun in your UTV can go to whole new level when you are listing to your own personal soundtrack. Just let us know if you have any questions about this controller or any other products, at Side By Side Stuff we are here to help!